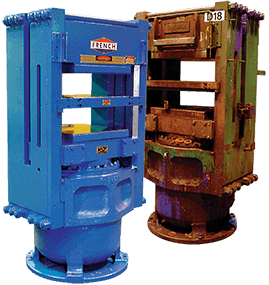 French Cracking Mills deliver the rugged design and performance one expects from French Equipment. The Model 1252 Cracking Mill has earned a worldwide reputation for superior performance during a half century of service in a wide range of oilseed crushing applications. Its stablemate, the new model 1480, offers the same rugged, reliable design and performance at a higher capacity. Corrugated chilled cast iron rolls are standard. Other types of rolls are available upon request. 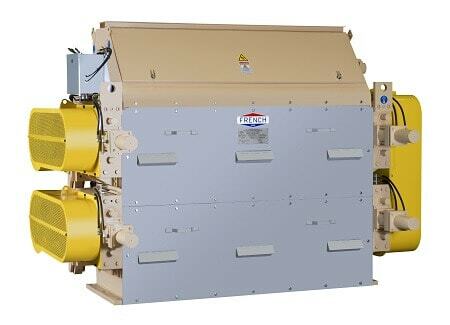 Ask about our Model 1480 Cracking Mill and its 1250 metric tons/day soybean-basis capacity. To download a French Cracking Mill brochure visit our literature page. Our Aftermarket sales department provides rolls and other parts for our existing cracking mill models as well as your older models, such as the 1042.